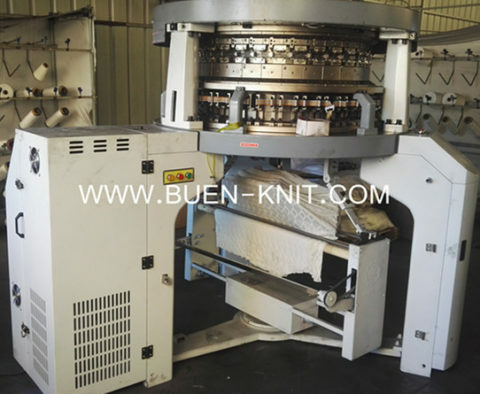 Links links Electronic Jacquard Circular Knitting Machines adopt with two needle beds and computer jacquard system which makes purl jacquard fabric have both face and reverse loops. 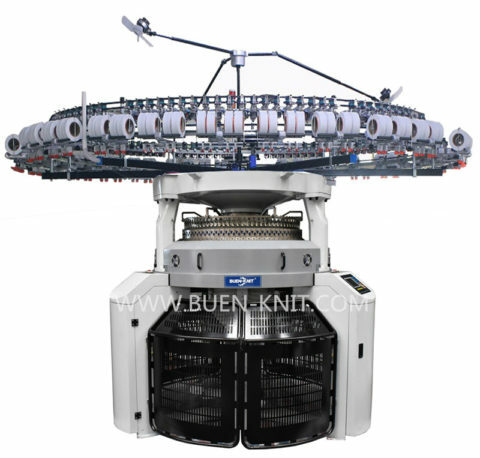 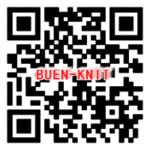 It’s your best choice machine to make high grade knitted fabric. 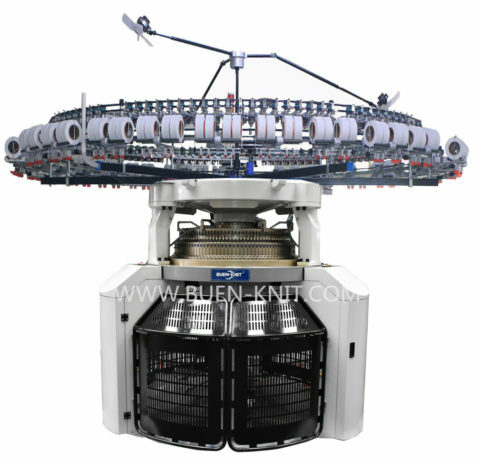 The tricks of the two needle beds in a links links machine are exactly opposite to each other and in the same plane, so that the single set of links-links needles, each of which has a hook at either end, can be transferred across to knit outwards from either bed. Knitting ourwards from one bed, the needle will produce a face meshed needle loop with the newly-fed yarn whilst the same needle knitting outwards with its other hook from the oppsite bed will produce a reverse meshed needle loop. 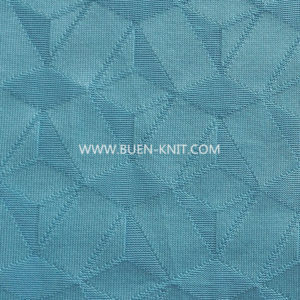 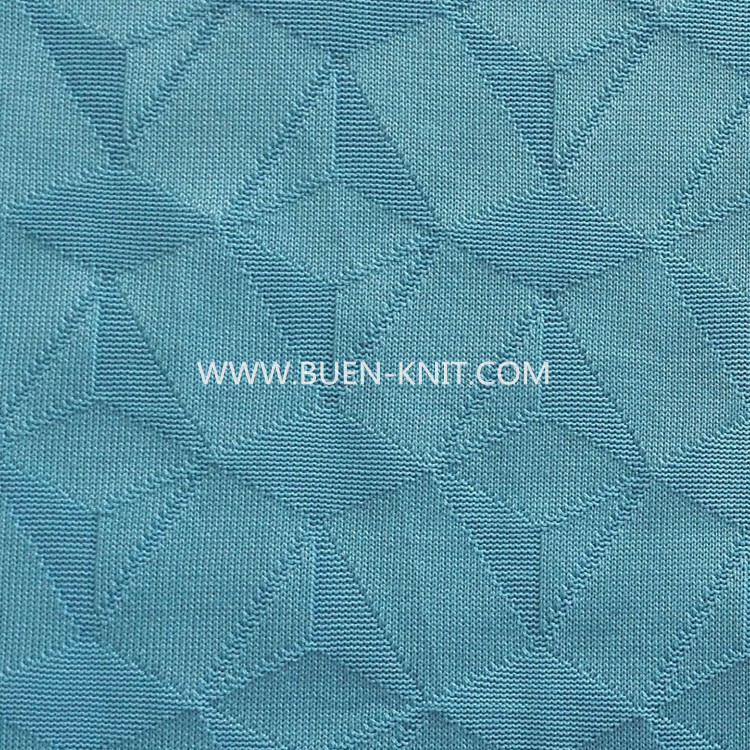 Any complicated structure and design of fabric can be convert to special control system by computer, which can knit various designs of jacquard fabric. 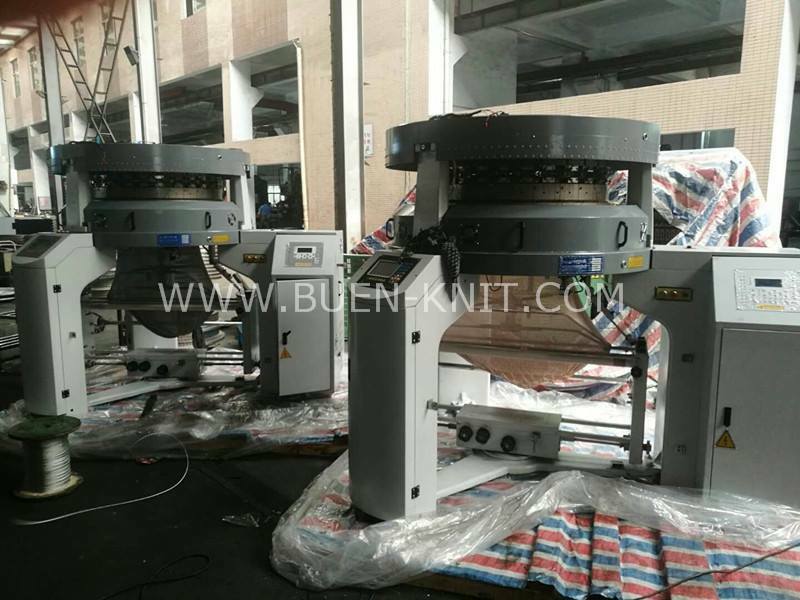 Links links electronic jacquard circular machine can work with cotton yarn and chemical fiber yarn, it can also work with lyra yarn, which produce jacquard spandex fabrics with high quality. 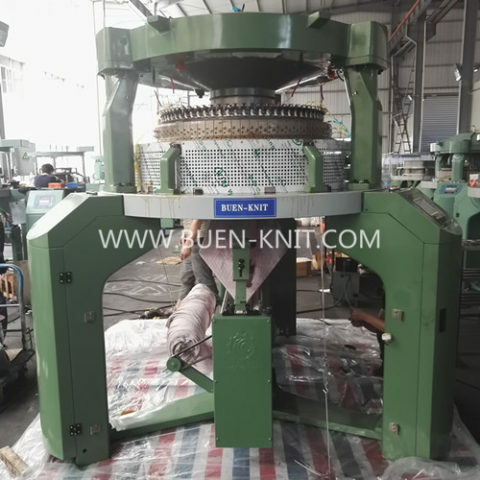 The bed plate is made of steel ball runway structure with oil immersion, which guarantee the machine with stable running, low noise and high abrasion resistant. 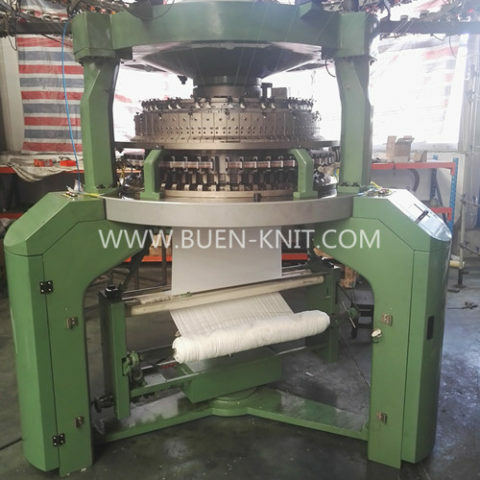 Links links electronic jacquard circular machine equip with muti-feeders and machine running at high speed, which can achieve production capacity at about 200kgs-300kgs per 24 hours.